Glædelig Disney fredag, allesammen! Den bedste dag på ugen - uden tvivl. Jeg har brugt min på at rydde op og gøre rent, i jeans og baggy Mickey Mouse-sweatshirt, med lille Milo (i øvrigt i Mickey Mouse-body for at gå all in) i vikle til Disney-sange! Vi dansede rundt, jeg sang med min lyseste stemme, for det elsker han. Primært til sangene fra "A Goofy Movie", fordi de gør mig så glad! Især "Ude i det blå" og "Eye to Eye". Dén film er så undervurderet, og det er ærgerligt, for den er SÅ god! Sjov, hyggelig, fed. Totalt 90'er-lækker. Jeg blev inspireret til at finde en masse fine Fedtmule og søn-ting, og jeg fandt nogle virkelig fede t-shirts, hvis jeg skal sige det selv. Den fine POP! Goofy er fra Kingdom Hearts, men den var altså finere end den originale, så den måtte jeg have med. En klassisk, sød Fedtmule-bamse skulle der også med, et hyggeligt krus, og en "Goofy Movie"-t-shirt og så de FEDESTE: Nemlig Powerline-t-shirts! Til jer der ikke er helt skarp i filmen er Powerline den store sangstjerne, som alle de unge er kæmpe fans af. Og som synger sangen "Eye to Eye" jeg nævnte, og den anden; "Stand Out". Han er nok lidt inspireret af Michael Jackson, og de her t-shirts er SÅ fede, ISÆR den sorte, fordi den er lavet som en vaskeægte "World Tour"-t-shirt, og bagpå har den intet mindre en tour-listen. Så gennemført! Happy Disney Friday, everybody! The best day of the week - without a doubt. I have spent mine cleaning and organizing in jeans and a baggy Mickey Mouse-sweatshirt, with little Milo (who is also wearing Mickey Mouse, btw, to really go all in) in his wrap and with Disney songs in the background! 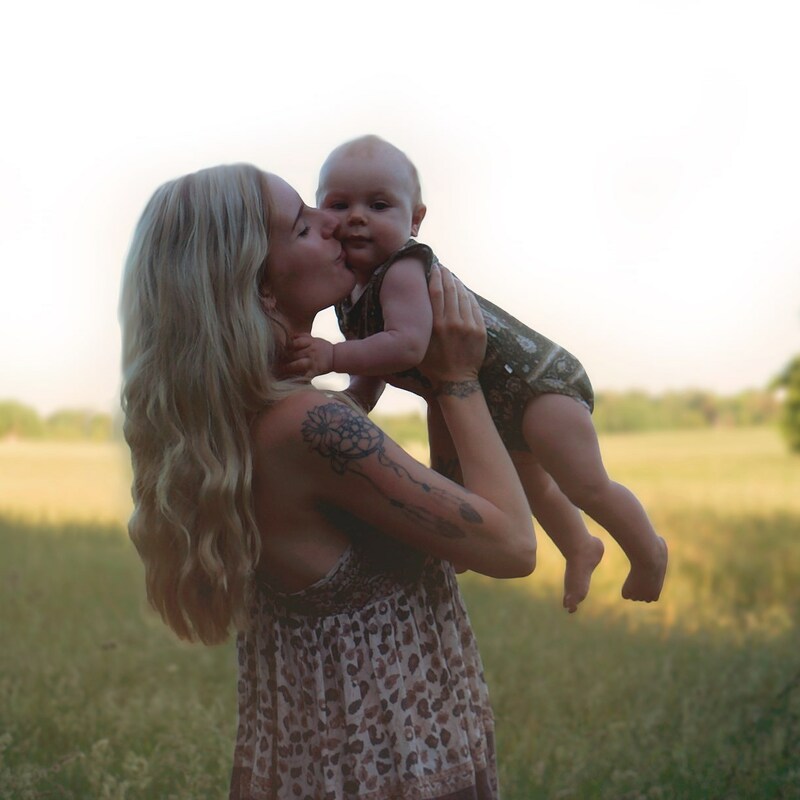 We danced around, I sang with my lightest voice because he loves that. Primarily to the songs from "A Goofy Movie" because they make me so happy! Especially "On the Open Road" and "Eye to Eye". That movie is so underrated and it makes me sad, because it is BRILLIANT! Funny, cozy, cute, awesome. With the coolest 90's-vibe. I was inspired to find lots of cute Goofy-items, and I found some pretty cool t-shirts, if I do say so myself. The cute POP! Goofy is from Kingdom Hearts, but it was better than the original, so I had to include that. 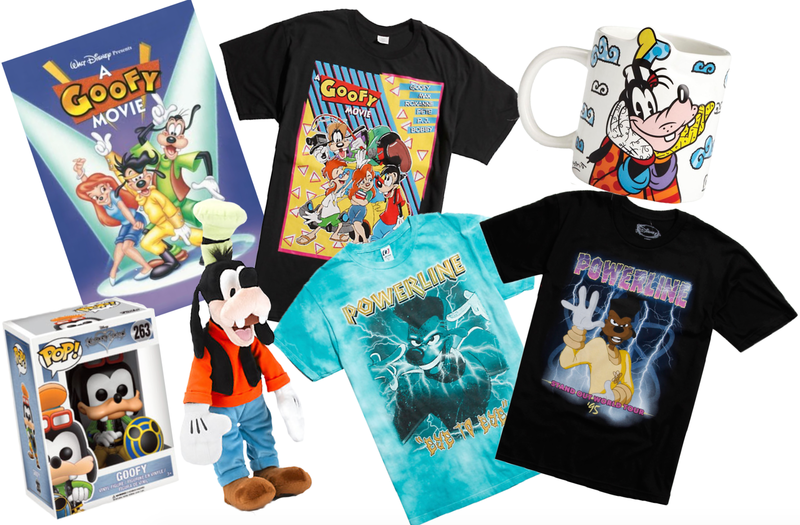 I also had to include classic, sweet Goofy plush, a cozy mug and a Goofy Movie t-shirt and the COOLEST: Powerline t-shirts! For those of you who are not too familiar with the movie, Powerline is the big singing star, who all the kids are crazy about! And who sings the before mentioned "Eye to Eye" and the other "Stand Out". He is probably a little inspired by Michael Jackson, and these t-shirts are SO cool, ESPECIALLY the black one, because it has been made as a really "World Tour"-t-shirt and on the back it has nothing less than the tour list. So thought through!